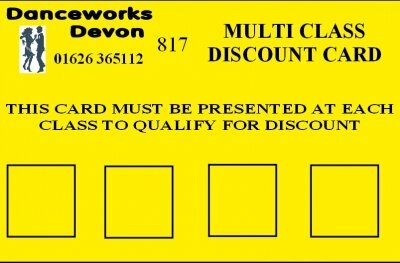 Danceworks Devon is a fully-equipped dedicated dance studio in Newton Abbot. Owned and managed by Rob & Pauline Mason, Danceworks is designed to provide everything you need for dancing in Devon. We offer a full range of adult and children’s dance lessons, tea dances and evening social dancing. Our aim is to provide a relaxed and fun atmosphere where people feel at ease whether they are complete beginners or more experienced dancers. Pauline has been a dance teacher for over 40 years, having qualified with The National Association of Teachers of Dance. She is also a Fellow of the UKA (United Kingdom Alliance of Professional Teachers of Dancing) in Ballroom and Latin American and a National Adjudicator for the British Dance Council. In 2013 Pauline was voted Dance Teacher Of The Year by readers of “Dance Today” magazine. Dancing has always been an enjoyable pastime and thanks in part to the current TV programmes such as the BBC’s Strictly Come Dancing, it has become even more popular. Whether you have always wanted to dance, been nervous about giving dancing a go, or have danced in the past and just need a bit of a refresher then why not join one of our courses and get up on the dance floor? Suitable for beginners & improvers. 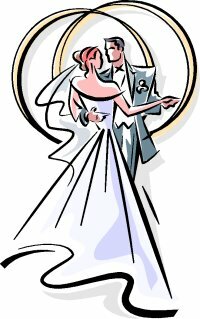 Wedding dance lessons and gift vouchers can be purchased from our online shop. Please contact us for more details. Fill in the boxes below if you’d like us to keep you updated about upcoming events at Danceworks Devon. Don’t worry – we won’t bombard you with emails, and we won’t share your email address with anyone else. We offer a wide range of dance classes and courses throughout the year for all levels of ability and all ages. Whether it’s ballroom, latin american, argentine tango, dance-based fitness classes or children’s dance classes, we have something to suit everyone. Why not come and learn to dance in a friendly and fun environment at our dedicated dance studio in Newton Abbot? We have a programme of varied and fun events throughout the year which are open to everyone. You will find a warm welcome here at Danceworks Devon. Newton Abbot is also a central Devon location for anyone wishing to dance from the Torquay, Exeter or Plymouth areas. If you would like to concentrate on a particular dance or need emergency tuition for an event, we offer private dance classes and special wedding dance packages. Find group classes too slow or too fast, want to progress to higher levels, or just build confidence in private? Please contact us for more information.